Land Rover’s smallest crossover gets yet another massive update for 2015, adding a pair of Autobiography editions and a convertible. The Autobiography editions offer only 4 doors, whereas the convertible offers only 2, each a fully separate trim and a notch above the usual Pure Plus, Pure Premium and Dynamic trims already available in both coupe and hatch bodies; the previously top-shelf Prestige trim follows suit with the Autobiography editions in still offering 4 doors only. 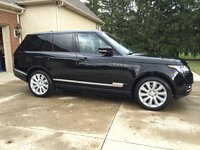 Otherwise Land Rover’s incumbent sales leader remains pretty much untouched for the first time since its 2012 debut, and drivers have absolutely nothing but high praise for last year’s model. Any glitches have been handled swiftly, performance and economy are exactly as advertised, and the experience of being in an Evoque is every bit as good as it sounds. It’s no rock climber, neither is it a racing star, but it just might be a rock star, having one satisfyingly silky ride on paved or unpaved roads alike with just the right amount of useful luxury. The new Range Rover Evoque Autobiography editions both get new body styling, 20-inch forged alloy wheels and premium leather interior details. The Evoque Autobiography Dynamic adds the option of a sport or climate seat and retunes the suspension, driving dynamics, and engine for about 45 additional horses out of the 2-liter turbo otherwise rated at 240 hp and 250 lb-ft of torque, and as-yet untold improvements in its 7.4-second arrival at 60 mph. However, it’s safe to expect fuel economy to dip just a touch below the 21 mpg city/30 highway estimate for the carried-over tuning or perhaps a requirement in the Dynamic for premium fuel instead of regular. As for the convertible, all we know so far is dropping the top added 165 pounds in body reinforcements and a bit of a cozy factor; there’s room for 4 instead of 5 in this Evoque for its clean lines with the top down, and trunk capacity is less than the 48 cubic feet available in the coupe, let alone the 51 cubes in a 4-door. All Evoques have on-demand 4-wheel-drive, but the convertible may be an exception, and its equipment, too, is a mystery at this point. The 9-speed shiftable automatic that debuted last year did in fact improve engine response—perhaps a little too much, as some drivers report too-early shifts in some instances, but this can be readily remedied by using the mode selector for highway maneuvers. Otherwise the Evoque is worth every penny of its asking price without a doubt creeping in for things like its GPS systems (voice-controlled in the Pure Premium or higher), ride quality or general opulence. Opting up to the Prestige nets features like automatic parallel parking, heated and ventilated front seats, heated rear seats, a heated steering wheel, and satellite and HD radio connectivity, but the basic package already includes things like a rear-view camera, front and rear parking sensors, dual-zone automatic climate control, an 8-inch touchscreen electronics interface and more. Where it may not be any more innovative technologically speaking than the likes of a Nissan Rogue or Ford Edge, the Evoque is certainly more technologically reliable and user-friendly, leaving gimmickry out of its interior in a clear preference for genuine quality. 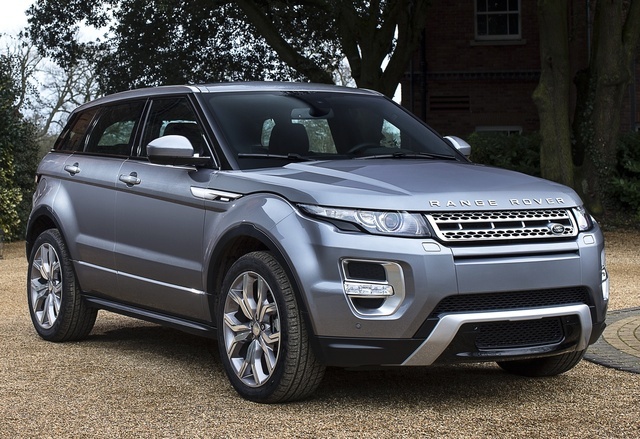 What's your take on the 2015 Land Rover Range Rover Evoque? Users ranked 2015 Land Rover Range Rover Evoque against other cars which they drove/owned. Each ranking was based on 9 categories. Here is the summary of top rankings. 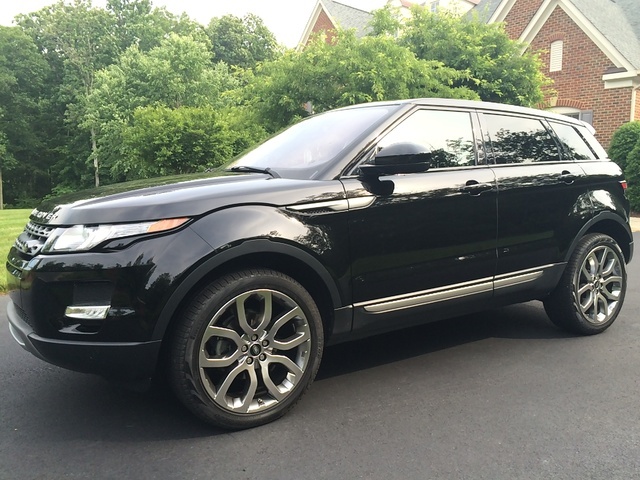 Have you driven a 2015 Land Rover Range Rover Evoque? which is large and the better vehicle...the land rover discovery sport or the range rover evoque? where can I show the reason for selling?